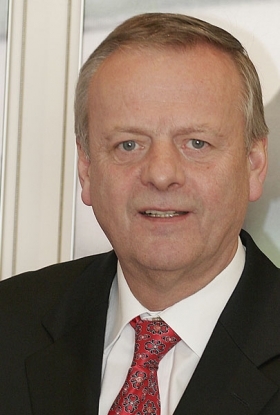 Ford sales boss Sviggum wants scrapping plans in Ireland and the Benelux. New scrapping schemes in the U.K. and Spain could add 400,000 new-car sales in the two countries this year, says a top European Ford executive. Ford of Europe's Ingvar Sviggum expects big sales increases in the countries once government-backed scrapping schemes take effect. Spain and the U.K. are the major European markets that have been hit hardest by the slowdown in new-car sales. Scrappage subsidies could add up to 200,000 new-car registrations in each country this year, said Sviggum, who is Ford of Europe's vice president of marketing, sales and service. New-car registrations in the U.K. fell by 24 percent to 133,475 in April while the decline in Spain was 45.6 percent to 67,215. Car sales in Italy, France and Germany -- countries with scrapping schemes -- are either stable or up sharply. "It's very good news from Spain," Sviggum told journalists on a conference call Tuesday. "It was the only one of the big five markets in Europe not to have a scheme and this is going to boost the industry for the rest of this year." He said overall new-car sales in Spain could improve by 100,000 to 200,000 as a result of the scheme announced Tuesday. Like its rivals, Ford needs help in Spain. Its sales there are down 53 percent to 25,400 units through four months. "The industry is down by 50 percent. It is dead," Sviggum said. "Spain has a very old car parc, so a scrappage scheme will have a great effect." The U.K. government is due to announce further details of its scrapping program next Monday. Motorists will receive a 2,000 pound (about $3,000) discount on a new car when they scrap a car that is more than 10 years old. "The scheme is a little weaker than we hoped," Sviggum said, "but I think it will help the industry." Sviggum said Ford of Britain already has received 1,400 orders in advance of the program's launch. He expected overall U.K. sales to rise by 150,000 to 200,000 this year because of the subsidy. Similar incentives increased Ford's April sales by 19 percent or more in Germany and Italy. Sviggum said he wanted to see scrapping programs started in Ireland, Belgium, Luxembourg and the Netherlands.